CNG Refueling – The Story of Natural Gas in Australia. 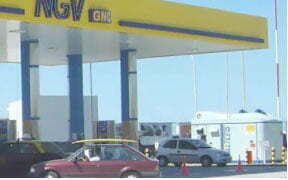 Compressed Natural Gas (CNG) is again presenting as a logical and long overdue transport fuel solution in Australia. The Industry is ready to utilise the extensive gas distribution infrastructure in place and there is a considerable resource of gas yet to be managed. The Industry has not been well supported by government though several state transport agencies are well placed to expand existing fleets, beyond the buses currently running smoothly on natural gas. CNG as a reliable and clean transport fuel does not require more study, the world is already embracing natural gas vehicles on both an economic and environmental basis. CNG Station gas pricing at or below 50% of current petroleum would make sense now for the economy, sustainable transport and cleaner air in city streets. Will pricing alone bring Australia into the modern age of transport or should the government show leadership and direction to ensure that such progress is so? CNG and other emerging ‘alternative’ fuels need only be seen as one part of the overall transport solution . There is no quick fix and the media fixation with view points to cut petrol excise suggests the country is distracted temporarily from basic economic and energy management. All interests in the fuel lobby need to be openly identified and considered in managing any thing resembling a sustainable approach to the consumption of energy. Transport demand and supply can be managed to plan for a better outcome than we are currently experiencing. Old fashioned policy measures: excise and exemptions is as one can determine and shape the transport fuel mix, pricing and the quality of the transport system we envisage. Look at most Australian cities and you will find various forms of transport chaos. Sole occupant cars driving manically to no place in particular fast, queues of people stranded at stations while the auto-mobile move past. Large masse RUVs guzzling safely through the streets in convoy…looking out for the next petrol station maybe? Public transport often working well and at other times overcrowded or running late. Trains, planes, buses and automobiles roaming randomly and competing for a safe on the streets…stress, pollution, out of equilibrium with most people and their lives. Something better can surely be envisaged which at the same time is a sustainable investment in our cities? Less traffic at the right time and sensible options starting from walking to riding or to just considering the impact of the next trip. The petrol car and diesel truck have been long term allies of big oil and gas and governments and excise revenue go hand in hand…freedom to govern without excess external influence throwing the transport fuel strategy debate into boardrooms instead of public office which should always be the domain of long term public policy related to national resources and desired outcomes. This is the context in which the ‘alternative fuel’ situation can be properly assessed. Irrespective of the emerging path of transport fuel alternatives the current day reality of supply and demand and desired social objectives needs to steer the desirable fuel mix. And the proof in the pudding has been provided post the 2007 election of the new climate change saviour, Kevin Rudd ( sorry Copenhagen failed Kevin) who loves espousing Climate Change rhetoric but is strangely silent in promoting the basic fundamentals of said theory in terms of micro-economics in home base country from which said earth saving rhetoric originates and in true John Howard spirit and against local economics or embodied energy logic and common sense, frozen CNG (LNG) goes holiday all over the world ( fair enough) but then again home economics scores a dismal E! This is a very easy blueprint which changed colour post the establishment of the Australian Greenhouse Office, confirming in historic and economic terms that any government policy flagged with such terms is most likely to have planned and deliberate negative impacts for us earthlings and in this regard we must and should congratulate the cunning and precision of the fossil fuel ( lets live like dinosaurs for a few more years) lobby that does not just control but get this straight IS the Australian government, thankfully a mute point that people are…phew..finally waking up to…its not government for the people ( I think it was prior up until 1973 – Gough Whitlam) but since then we all know ( Robert Newmans the History of Oil) its government for the global energy cartels…hoorah!!! – now we understand! Anyway, before we all get lost in doom and gloom, last figures show Kevin Rudd to be a total mug and his counterpart to be about the same, so in the meanwhile, intelligent consumers and business people can take advantage of the chaos of the political distraction…and guess what…do their own thing and tell their local MP same…and resume sanity before we all dissappear in a puff of Kevin Rudd’s highly explosive and over inflated Greenhouse smoke…or otherwise stated..plain common sense. 8 Steps or less to Recovery – A fresh addition to the transport fuel mix. 1/ Acknowledge the policy perversity that currently exists courtesy of kowtowing to the petroleum/motor vehicle lobbies. Richard Dennis of the Australia Institute came up with a cost estimate of $9 billion per year – thats right…policy costs accruing as a result of taxes and incentives supporting the motor vehicle industry. So there is no shortage of spare change for any government pursuing a strategic transport agenda, its more than self funding. 2/ Legislate where required to ensure that privatised transport sectors are mandated to follow a course of action which is in alignment with a clean and green agenda. 3/ Manage Fuel Excise strategy in a way which promotes stated policy measures and apply subsidies, rebates and mandates to stimulate the onset on new technology and changed buyer behaviour to drive the success of all introduced measures. The CNG transport sector does not necessarily require government funding if the government provides favourable policy settings. Public station CNG currently sits well under 50 percent of current fuel prices and does not present air quality issues which exist with LPG (mix of propane and butane – streamed from natural gas as well as a by-product of petroleum refining process) . Likewise with diesel and petrol fuels long appreciated and reliable but in short supply and more polluting. Excise management is one of the special keys to implementing CNG Refueling or any other strategic energy direction initiative. An interesting read on transport modelling and the impact of policy measures including excise is the Gain Report (Canada). Point the taxes and subsidies in the right direction and the market will take care of itself and the long long awaited transformation will occur painlessly. When fuel prices are not making front page news the strategy will be showing signs of success. 4/ Introduce a National Transport Strategy based on the nature of the Australian Transport Task…that is, apply assistance and re-build infrastructure to support the most efficient transport modes and fuels and apply taxes and penalties to modes and fuels that are not consistent with a national strategy. Re-instatement of train transport lines (the most efficient) will over time correct the current imbalance in freight road vehicles. The additional road toll witnessed in recent decades in relation to road freight vehicles could arguably be attributed to the decline of the rail transport systems. The bullet would have to bitten in relation to price discounting situation that led to the perversity mentioned above. That is, tax corrections to prevent hoards of people flying between cities on the basis of $50 or $60 dollar fares…not only are the nature of most of these trips questionable but the shifting of modes which results is certainly not moving Australia ahead in the so called ‘Greenhouse Challenge’. 5/ Apply Policy Support and Incentives where its needed most and will be most cost effective. While road haulage use may be currently skewed on account of reduced rail freight, this situation will not rectify overnight. Heavy road vehicles and buses represent a cost effective and sensible path for diesel substitution and health benefits from reduced air and noise pollution can be factored in as well. 6/ Learn from developments abroad. Public CNG refueling stations provide the incentive and means for smaller private fleets to become part of the conversion. Private stations or ‘depot’ stations may well be the perogative of companies which can justify them but public access stations enable the NGV sector to grow. Be realistic and also scientific about the costs of providing infrastructure and refueling. The 7.30 report mentioned Phil CNG home refueler but look at the costs and benefits of this in terms of energy in the totality of that equation. A home refueler may well be ahead of the bowser on price but consider the electricity consumption in energy provision . There may well be benefits of home refueling but if they slow the onset of public refueling stations the question of driving energy efficiency across the sectors needs to be considered. 7/ Be realistic about the costs and benefits of providing vehicle ‘conversion’ assistance or providing clear paths for the import of factory ready OEM vehicles. There is room for both but nothing succeeds like success and there is nothing more frustrating than poor conversions or a poor conversion program. One risk of government sponsored conversion programs is the inflationary effect on something which no longer has a real market price…keep the conversion profitable and competitive but not artificially inflated. In summary, look at how subsidies have worked effectively and benchmark the reasonable cost of a conversion and equipment to prevent such outcomes re-occuring if conversions are assisted with government subsidies. There are directions which can be followed by consumers, business and government which will promote clear and clever strategy in whatever area of transport they relate: whatever mechanisms available (at the stroke of a pen) to spending, investing and tax fairly in the interests of the transport users which is pretty much every individual in the country. Health and environmental concerns addressed cost effectively while at the same time delivering a common sense economic model for the management of our national energy resource. Its been a good story all over the world and although no single pathway is perfect or permanent it makes sense today is available and affordable. The use of natural gas is less polluting than the use of coal and oil. A major benefit is that natural gas is some 65 to 70 per cent less greenhouse gas intensive than either brown or black coal. Another decided advantage of gas is that it contains far fewer particulates and other elemental contaminants than either coal or oil. As a consequence natural gas can be used as an alternative fuel for transportation in the form of either compressed natural gas or liquefied natural gas especially in heavy transport such as public buses or road freight carriers that can use centralised refueling points. The thing that strikes me as being rather quaint, to put it mildly, is that we pay anywhere from about $8 billion to $25 billion to import the oil and we get a paltry $4 billion for the gas that we sell to overseas countries. It seems odd to me, especially given gas is a superior fuel for many, many purposes including the use in motor vehicles. LNG cryogenically supercooled for liquification and then shipped in tankers running on crude oil. It will be interesting to see if these proposals go forward and how the energy waste in production and delivery would be assessed in terms of carbon offset credit. 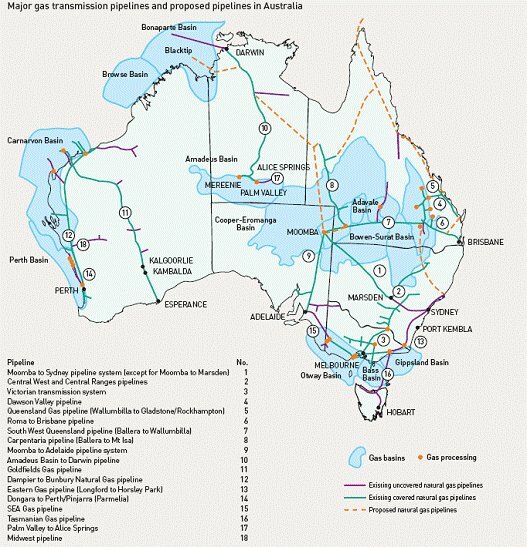 Australian Natural Gas – How Much Do We Have And How Long Will It Last ? CNG-NGV Asia Pacific Forum – 2008 -NGVA Roundtable Session Best Practices, Challenges….. Cost savings and environmental bonus for Australia Post and others? Note: The author has been promoting sustainable transport in Australia and is the agent for GNC Galileo (CNG Refueling Solutions).